Duo Noire had a blast @ Juilliard for our dear friend Raymond Lustig’s composition class. 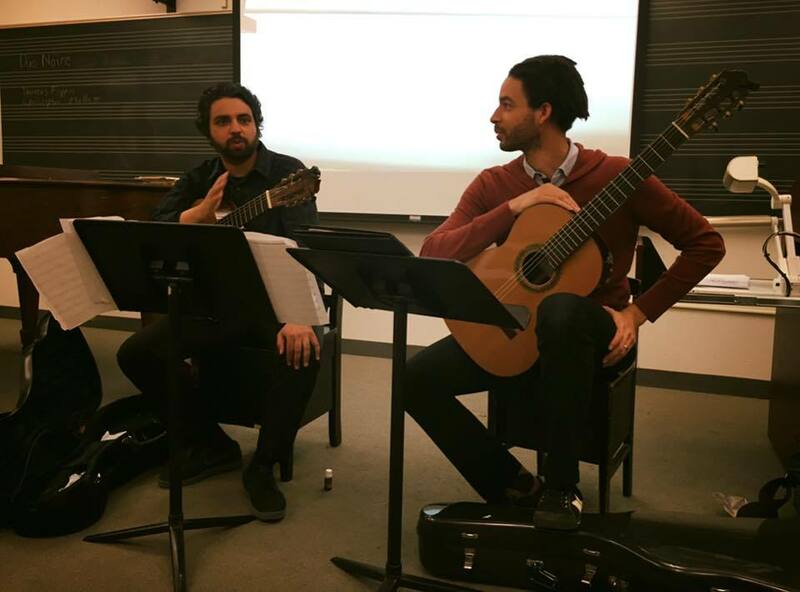 We performed some of Ray’s “Figments” from our album of his music and talked about composing for the guitar with an absolutely wonderful group of adult students. Good times! Salt Creek, California - This is something I’m working on. It’s a movement of what will eventually be a set of sketches called “Scenes from America”. This movement is called “Salt Creek, California,” which is a beach from my adolescence that I have (mostly) fond memories of (pictured to the right). The outer sections use alternating measures of 7/16+5/16 which can also be heard as ¾ with syncopated accents (4+3+3+2; but that’s messier to write). This was commissioned by Yale alum and Canadian guitarist Bruno Roussel for a repertoire book he is publishing in Canada. More coming soon, let me know what you think! A friend once told me “if you don’t like a piece, make it better." I’ve since decided to revise this piece to better reflect the range of feelings I have about Salt Creek beach in California. So, this is the new draft I’m working with. A bit more contemplative and longing than the original: Walks with girlfriends as the whitewash nips at your feet, dropping into a wave at daybreak, philosophizing about life over a bonfire, watching the sunlight spread across the water as it sets, and nostalgia for relationships come and gone. I think that’s all represented here now in a way it wasn’t before, and I hope you agree that it is in fact, better. Share your thoughts in the comments section by clicking on the URL link below.